Warning: NO SPOILERS AHEAD. You may want to avoid the internet and social media all together if you are a big Star Wars fan and are looking forward to watching the new sequel in all its unadulterated unspoiled glory. 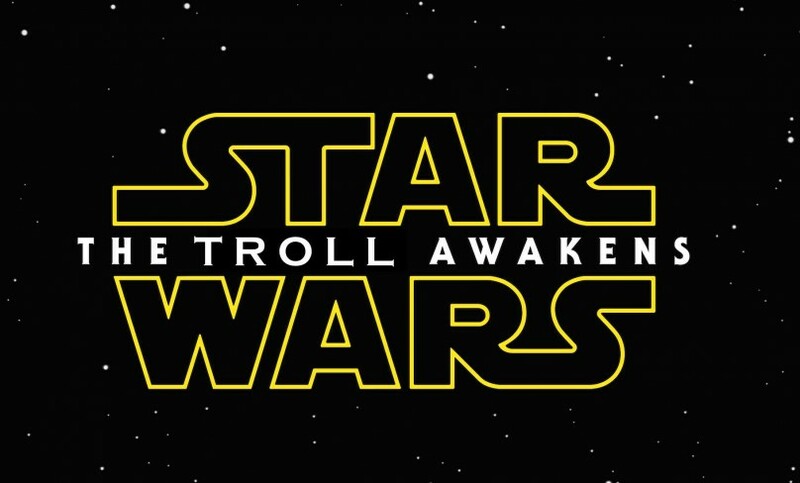 Just log on to any forum or social media site and you may find trolls posting spoilers. What do you do if you are exposed to a spoiler? The best solution is to just pretend you didn’t read it, or convince yourself that is just someone screwing around. That way you place less importance on the possibility it is legit. If they are on your friends list or you follow them on Twitter, you may want to re-evaluate your relationship with that person. You may want to watch all the Transformers and Fast and Furious movies to empty your brain of the last bit of sanity you had. The internet has changed the way we share information and that of course includes the good old spoiler. So please be considerate when tagging and sharing your Star Wars Episode 7 experience. Some don’t even mean to spoil intentionally but it is up to you if you’d like to remove that person from your friends list for spoiling what has been a long wait. What for many has been years of Jar Jar Binks and cheesy Natalie Portman Hayden Christensen dialogue. But with Disney at the helm for the new films, who knows what could happen. So use the force this Friday and upcoming weekend Star Wars fans and avoid the internet and possibly all contact with the outside world until you get into the theater. Was the Star of Bethlehem a UFO or comet?